An engaging home listing can play a key role in your ability to sell your house. If your listing hits the mark with potential buyers, the likelihood increases that buyers will set up showings to view your residence. And as a result, it may be only a matter of time before you receive multiple offers to purchase your house. Ultimately, creating an engaging home listing can be simple – here are three tips to help you craft an effective listing for your residence. A home listing often introduces a buyer to a house. If a listing includes accurate information about a residence, a buyer may be inclined to check out a particular house sooner rather than later. Remember, it is your duty as a home seller to help a buyer make an informed decision about whether to pursue your residence. If you include accurate information about your house&apos;s age and condition in your listing, you can make it easy for a homebuyer to determine whether your residence is the right choice based on his or her individual needs. 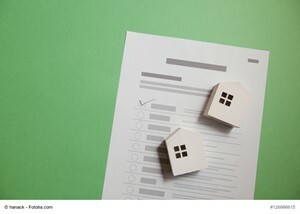 An engaging home listing includes lots of relevant information about a home. At the same time, this listing should feature plenty of high-resolution photos that showcase the true size and beauty of each room of your residence. If possible, take photographs that can help buyers envision what it is like to walk through your house. You may want to clean your home from top to bottom and remove clutter before you take these photos as well. For those who want extra help with real estate photography, you can always hire a professional photographer. Because if you have a real estate photographer at your side, you can reap the benefits of top-notch photographs that can be incorporated into your home listing. There is no need to use big words or complex phrases to try to differentiate your home listing from others. Instead, keep things simple, and homebuyers can decide for themselves whether to move forward with a home showing. Lastly, if you need help crafting an engaging home listing, you can always reach out to a real estate agent for assistance. This housing market professional can provide expert guidance throughout the home selling journey and ensure you can achieve the optimal results. A real estate agent will learn about your home and help you put together an informative home listing. He or she also will set up home showings and open house events to promote your residence to prospective buyers. And if you receive an offer to purchase your house, a real estate agent can help you review this proposal and determine the best course of action. Ready to add your house to the real estate market? Use the aforementioned tips, and you can create an engaging listing to help your house stand out to dozens of potential buyers. Based on information from California Regional Multiple Listing Service, Inc. as of 04/25/2019 01:29 PM. This information is for your personal, non-commercial use and may not be used for any purpose other than to identify prospective properties you may be interested in purchasing. Display of MLS data is usually deemed reliable but is NOT guaranteed accurate by the MLS. Buyers are responsible for verifying the accuracy of all information and should investigate the data themselves or retain appropriate professionals. Information from sources other than the Listing Agent may have been included in the MLS data. Unless otherwise specified in writing, Ocean Real Estates Inc has not and will not verify any information obtained from other sources. The Broker/Agent providing the information contained herein may or may not have been the Listing and/or Selling Agent.